Facebook, and most of the features it adds or the UI changes it makes are more often than not, a source of discontent among its users but just at the end of last month, Facebook introduced a bookmarking feature and it turned out to be downright useful. Among other things, it makes your news feed ten times more useful than it was before. As opposed to reading what filters through and forgetting about it later, or not being able to find it, you can save the good stuff, the articles you’d like to share later, or maybe read again. Here are four great uses for the new Save feature that can get you started. I depend on my friends for music and movie suggestions to a great extent. And they, in turn, will check into Facebook when they go see a movie. Likewise, they share the music they’re listening to. The new Save feature is integrated through out Facebook so you can save movies and music that your friends are listening to when you see a post from them. Not only is it easier to find movies this way, but Facebook knows it’s a movie or song that’s being saved and it’s sorted accordingly on the Saved page. The functionality works for events, books, and even places. This one goes without saying but the new Save feature is indeed a substitute for both bookmarks and Read It Later type apps and services. 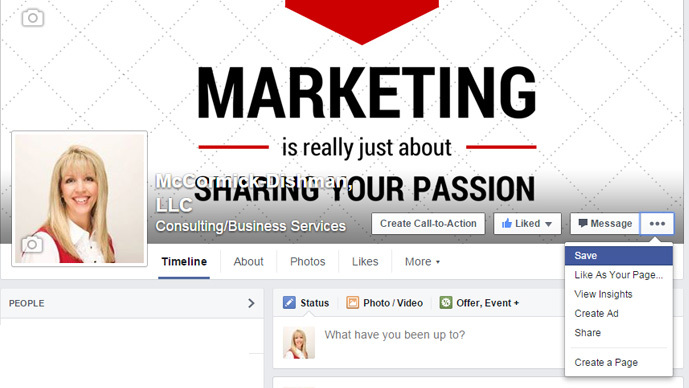 Just about all websites that publish content have a Facebook page that they share articles to. Those same posts can now be saved making it a better idea to follow them on Facebook. There’s no tagging feature available just yet but it makes following a page actually worth it. Also, Facebook by default doesn’t show you everything that a friend or a page posts which means if you checked your feed at the start of the day and then at lunch, you won’t see much of the same stuff, if at all. Previously, that meant you had to read what you saw right then and there leading to a full hour of procrastination. The Save feature is pretty much a way to avoid all that and find the posts that interested you earlier so you can read them when you have the time. How do you find a page that you liked on Facebook? If it’s by remembering what it was called, then I can say from experience that it doesn’t work and unless it’s optimized, you won’t be able to search for it with much success either. This is perhaps one of the best uses of the Save option because I’ve personally, liked, lost, and then hunted for a Facebook page except it took a month to find it. The Save feature pretty much takes care of all that. Leaving a comment on a post, and then being subjected to the bombardment of notifications each time someone does the same was about the only way you could keep up with a discussion on Facebook. However, the Save function isn’t limited to what pages share. It extends to posts as well, from both people and pages. You don’t even have to like a post to save it. You can just save it and return later to find out how a discussion is coming along when you have the time. So, how are you taking advantage of the new feature? Let me know in the comments.